Marine tanks generally utilize three types of filtration–mechanical, chemical and biological. 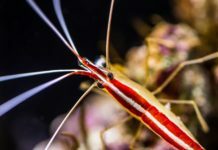 This article covers the basics of biological filtration. The primary purpose of biological filtration is to convert ammonia into nitrates or nitrogen gasses. When considering which biological filtration system to employ, it is useful to think in terms of efficiency of the bio-media itself, and the efficiency of the bio-media is all about the bio-media’s surface area. Live rock is commonly used despite the fact that it is probably the least efficient bio-media. Live rock is any porous rock colonized with life after exposure to a biologically rich environment (usually a natural reef or a mature aquarium). If transported and cured properly, live rock comes to you full of life (hence the term “live rock”). 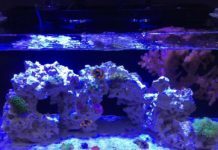 While many people purchase live rock for their saltwater aquariums because it looks good or because someone told them they “need” it, most aquarists don’t understand the role it plays as bio-media. Live rock’s porosity results in a lot of surface area where nitrifying bacterial fauna grows and where ammonia is subsequently converted into nitrates. In addition, the largely anaerobic interior of the rock promotes the process of denitrification making it a comprehensive biological filter. The problem with live rock is the weight to surface area ratio, especially when compared to other bio-media like lightweight polyethylene bio-balls or bio-bales. 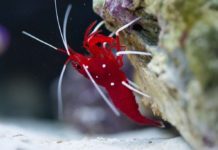 To use live rock as an effective biological filter, the aquarist must use at least one pound of rock for every gallon of water making it an expensive endeavor. 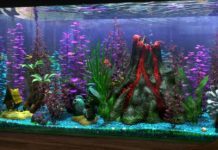 Having said this, many aquarists would not consider having a saltwater aquarium without live rock—the only real question is will you have enough live rock to handle all your biological filtration. Bio-balls possess much greater surface area per pound than live rock. A cubic foot of bio-balls has a surface area of 160 square feet. When using bio-balls, one gallon of bio-media for every ten gallons of aquarium water is sufficient. Biological filtration using bio-balls usually occurs in a multi-chambered sump with a wet-dry, trickle filter system installed. 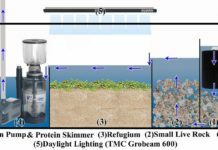 In this set-up, the bio-media is suspended above the sump’s water level, and the water coming from the display tank’s overflow trickles through the bio-media before entering the sump. 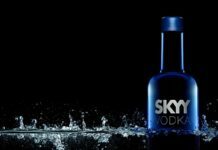 This is a relatively efficient system, and can be used in conjunction with live rock, especially since the use of a wet-dry filter promotes excellent gas exchange capable of quickly replacing the oxygen consumed by nitrifying bacterial fauna. 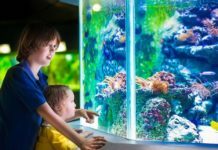 A wet-dry filter is a relatively inexpensive, compact biological filtration system that is easy to maintain and which keeps the aquarium’s water highly oxygenated. 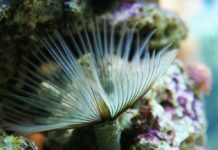 It should be noted that some concerns exist about the nitrate content produced by wet-dry filters in a reef tank, and this should be fully researched by the aquarist before employing this system on a reef tank. Fluidized sand bed filters are the most efficient biological filters commonly employed in the hobby. A fluidized sand bed filter promotes the growth of nitrifying bacteria on sand granules which are suspended in a tall box or tower with water running through it (hence the bio-media is fluidized). Fluidized sand bed filters are easy to install, easy to maintain, and they take up very little space. While generally more expensive than using a wet-dry filter, fluidized sand bed filters are generally cheaper than live rock. 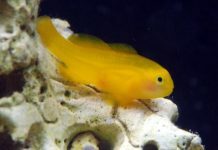 Based on the individual system, most aquarists will probably employ a combination of biological filtration techniques including at least some live rock.